Hundreds of people gathered Saturday to honor Captain Robert Melton, who was shot and killed in the line of duty Tuesday. Friends say Melton was proud of his military service. He served in Iraq and Afghanistan. Scott Kirkpatrick, president of the Fraternal Order of Police said Melton had a bright future ahead of him. He says that leadership is what brought Melton to the scene of the crime Tuesday, before anyone else. As a member of the command staff, Melton wasn't obligated to respond to the call. 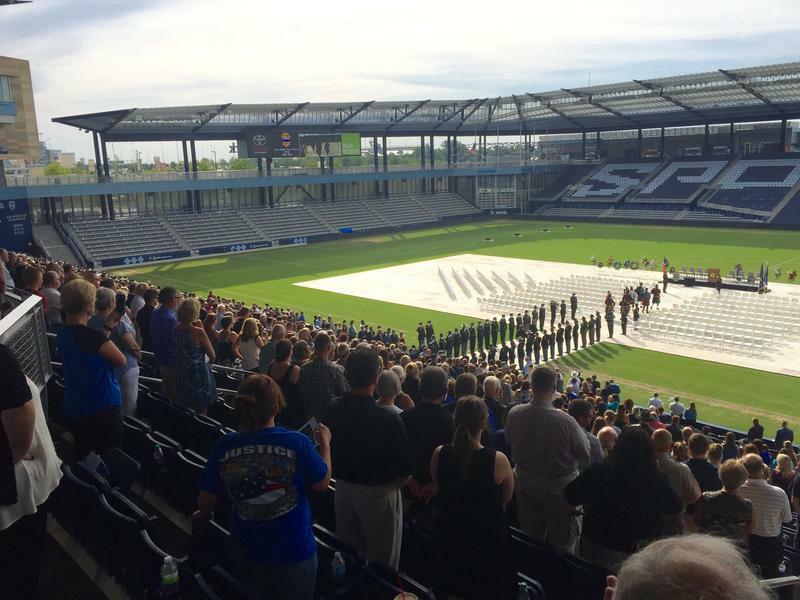 Larry Melton, Robert's brother, told attendees that when he asked the Kansas City, Kansas, Police Chief Terry Ziegler why his brother was there, Ziegler said Melton believed in "leading from the front." And emotional Ziegler also shared his memories of Melton. He says he was always setting a good example for his colleagues and was looked up to among officers. This was the second on-duty killing for the KCKPD in as many months. Detective Brad Lancaster was killed in May, Ziegler asked Melton to help plan a proper military funeral. Afterwards, he asked him to create a how-to manual for remembering a fallen officer. The service concluded with fireworks, and a cannon shot. Melton handed him the manual two weeks ago, and said, "Put it on the shelf, and hopefully we'll never have to use it again." Fighting back tears, Ziegler recounted having to pull the manual off the shelf to guide him through the process of honoring its author. Afterwards, the public was invited to join the funeral procession to Leavenworth National Cemetery. Lisa Rodriguez is a reporter and producer at KCUR 89.3. Connect with her on Twitter, @larodrig. Family, friends, and colleagues of Capt. Robert Melton gathered Wednesday evening on the plaza outside Kansas City, Kansas, City Hall to remember the 16-year veteran of the Kansas City, Kansas Police Department. Melton was killed while pursuing a suspect on Tuesday. Under a row of flags flying at half staff, there was a prayer, some music and words of condolence for Melton's family from Chief Terry Ziegler. 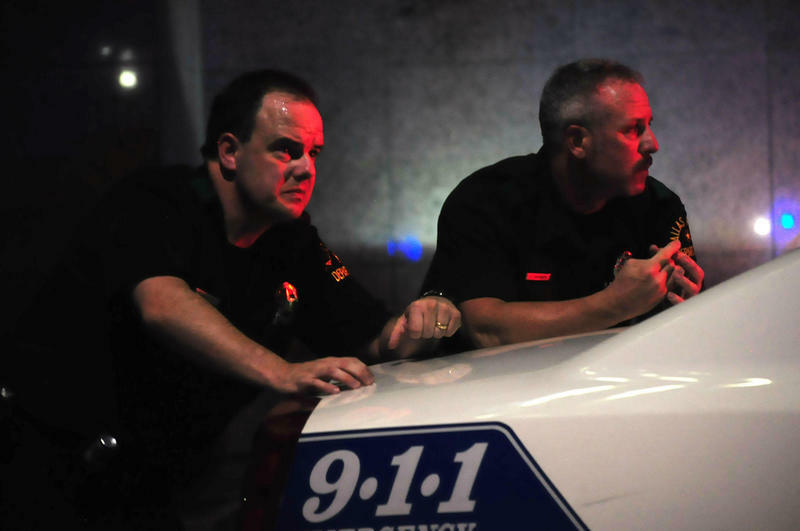 Ziegler and his force are still grieving the death of another fallen officer, Det. Brad Lancaster, who was killed in May. 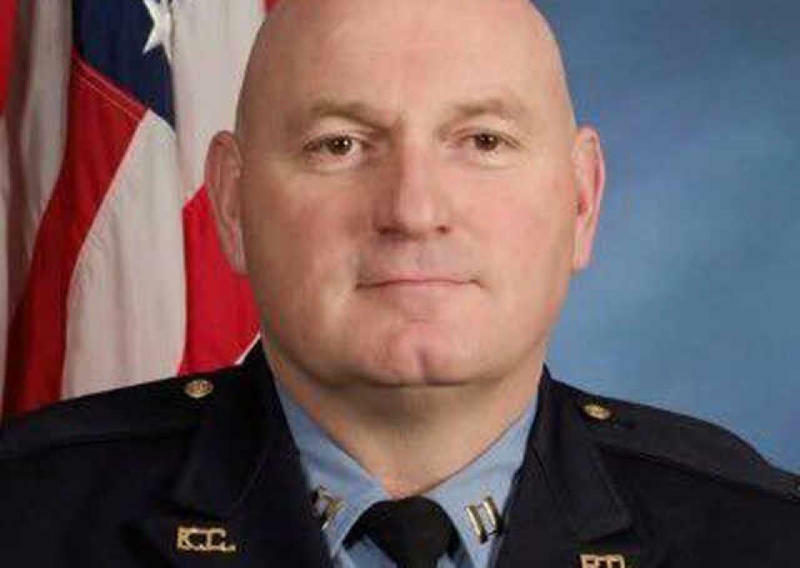 Two men will face charges related to the shootout that led to the killing Tuesday of Kansas City, Kansas, Police Capt. Robert David Melton. 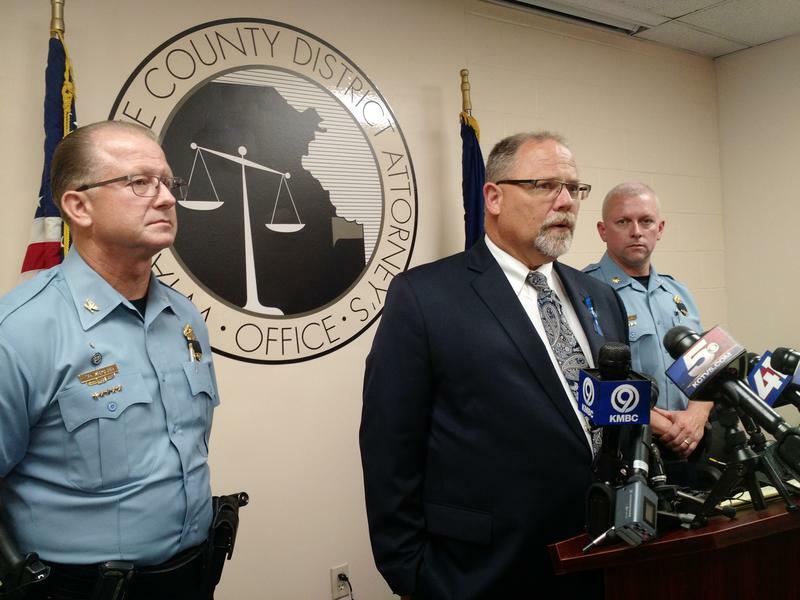 Wyandotte County District Attorney Jerome Gorman charged Jamaal Lewis, 20, with capital murder, aggravated assault and discharging a firearm. DaQon Sipple, 18, was apprehended shortly before Capt. Melton was killed. He faces charges on discharging a firearm, aggravated assault and aggravated assault on a law enforcement officer, Gorman announced at a news conference Thursday.